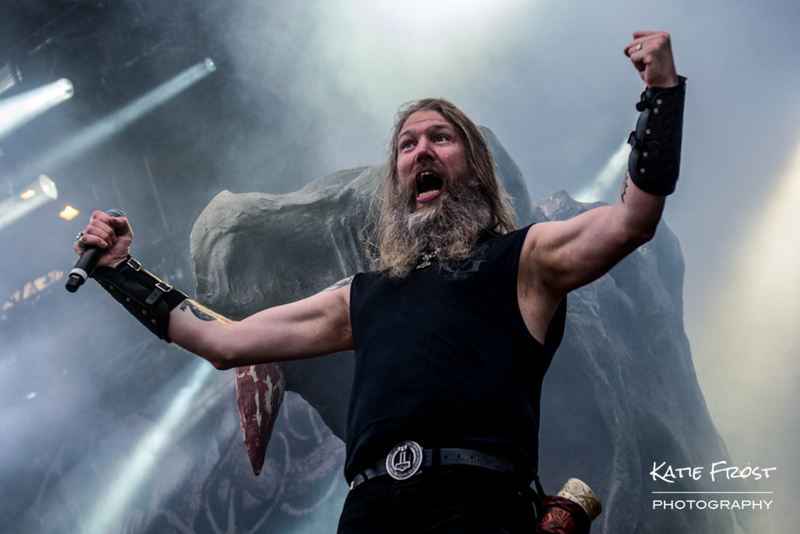 Swedish viking metal lords Amon Amarth have launched a mobile video game in partnership with Ride & Crash Games. The game features four worlds, four epic battles, twelve unique levels and thirteen different Amon Amarth tracks. You are Thor and your mission is simple: cleanse Midgard from all of the vile creatures that are threatening the (*ahem*) peaceful Viking way of life. There are three keys to ensure your success: (1) your hammer, Mjölnir; (2) your control of the freakin’ thunder and lightning! ; and (3) your fighting spirit is always high thanks to Amon Amarth’s epic music in retro style blasting from over the horizons and into your ears. The game is free to download and for that you get to play the first level “In Pursuit of Vikings”. In order to play the rest of the levels you need to purchase the full game (£7.49 on Google Play). I am not a gamer so have not paid for the full version, but can highly recommend downloading it for free as it is worth it just to hear “In Pursuit of Vikings” in glorious 8-bit! If they decide to release these 8-bit tracks as an album I will certainly be purchasing that, as they have been done very well. Available for both Android and Apple.